I know what it’s like to struggle with shortages of vital supplies such as electricity, gas, cash and safe water. I know what it’s like to lose everything and have no place to go. I know what it feels like to hope that help will come—and it doesn’t. That’s why I am writing this letter, to express my solidarity with all of you who are struggling to survive the damage wrought first by years of neglect and now by the furies of Hurricane Maria. It breaks my heart to know that the same crises that make life so difficult every day in Gaza (although here, they are all very much manmade) now are hurting you in Puerto Rico. As a Gazan, I have experienced the same pain and I wish that on no one. 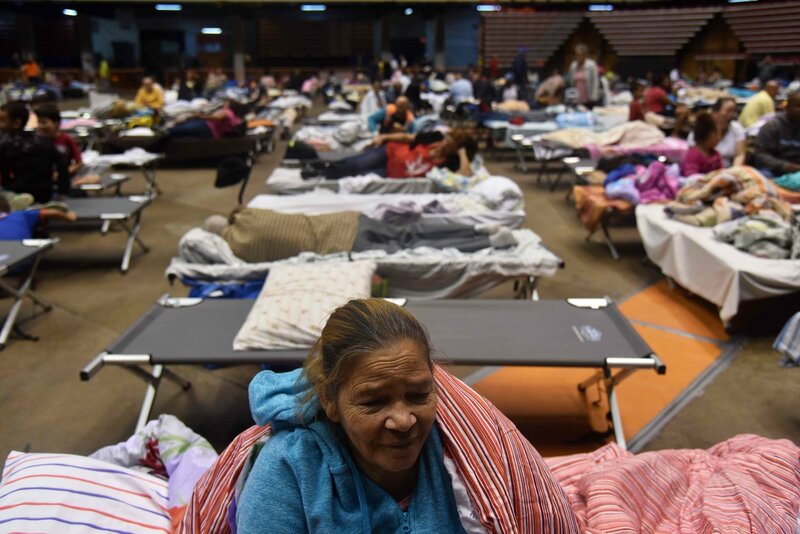 A few days ago, I read in the news about the more than 70,000 residents who had to evacuate their homes because they live very close to a dam damaged by the hurricane and was in imminent danger of failing—thus potentially destroying their homes. That made me remember the summer of 2014, when Israeli forces attacked Gaza from the sea, sky and land—often giving those of us living in targeted neighborhoods only minutes to leave. I hope most of you managed to collect your most valuable possessions before you had to flee, unlike most of us, who didn’t. Ten minutes is a very short time to try to recall every memory you had inside your house—your favorite books, your pictures, your love letters. Shock is mixed with pain and we do what every Gazan did before and will do after: We take our identity cards and go out to die a million times, to watch gazillions of memories wiped out like they never existed. I also read that trucks carrying food, water and gas couldn’t deliver these necessary supplies across the island because so many roads were wrecked, making them unpassable. Again, memories flooded my mind. The people of Gaza have suffered through three wars since late 2008, and each time, Palestinian ambulances couldn’t reach the injured due the destruction and ongoing Israeli assaults. Often, the paramedics and hospitals themselves were attacked. Like you, many of us were forced to move into buildings never meant to serve as shelters, like schools. I read about a 31-day-old baby, born just before the hurricane, who is living in a classroom with 64 other people and is suffering from an untreated skin condition. Tragically, we can relate! One of my fellow writers in We Are Not Numbers wrote about one family forced to sleep with nearly 30 other people in the same room after they were forced to flee their home as tanks moved in. I understand it is expected to take four to six months to restore electricity to more than 3 million people—and that even before the storm, your sole electrical plant had been operating with outdated equipment for decades. Again, the parallels are clear. Our 2 million people have been living with as little as three to four hours of power a day for 11 years due to the blockade imposed by Israel and Egypt’s cooperation. Our only power plant has been hit in nearly every war waged on Gaza, and has never been able to completely rebuild. So, as a partner in crisis, allow me to share some of our tactics for dealing with such shortages. First, get rid of any perishable food in the refrigerator or you will wake up one day to find it spoiled and rotten. The second thing you should do is to purchase a back-up power generator, if you can afford It; because here in Gaza, most can’t. Another option is to buy a unit that stores power for use later; however, it will be useless if there is insufficient electricity to be charge it in the first place. Don’t rely on candles, especially if you have children, because some Gazans have suffocated and died after dropping or knocking down candle and starting a fire. Third, when you have light during the days, try to read some books or just take a walk with friends; don’t stay alone with your negative thoughts. Finally, be ready in case the electricity suddenly shows up with no warning; keep your electronic devices near a plug so you can charge them as fast as possible. In our case, this is particularly important, since our power will disappear again pretty quickly. Hopefully, once your electricity comes back, it will stay on. As you are learning, the ugly truth about water is that it depends on electricity to be pumped into houses. Water and sanitation facilities don’t run when power is off. I read that the U.S. Federal Emergency Management Agency has estimated that 42 percent of Puerto Ricans are without access to potable water, and that just nine of the island's 52 wastewater treatment facilities are operational. In Gaza, less than 4 percent of our water is drinkable. We know how dangerous it is to drink contaminated water, and our only other choice is to buy it from commercial sources (like Israel, our occupier! ), at very high prices. I read that many of you were forced for a while to wait in line more than 10 hours to get gas, and that some residents of the island still face that situation. Many times, we also have to spend an entire day waiting for fuel, when our supply from Egypt and Israel is cut off. 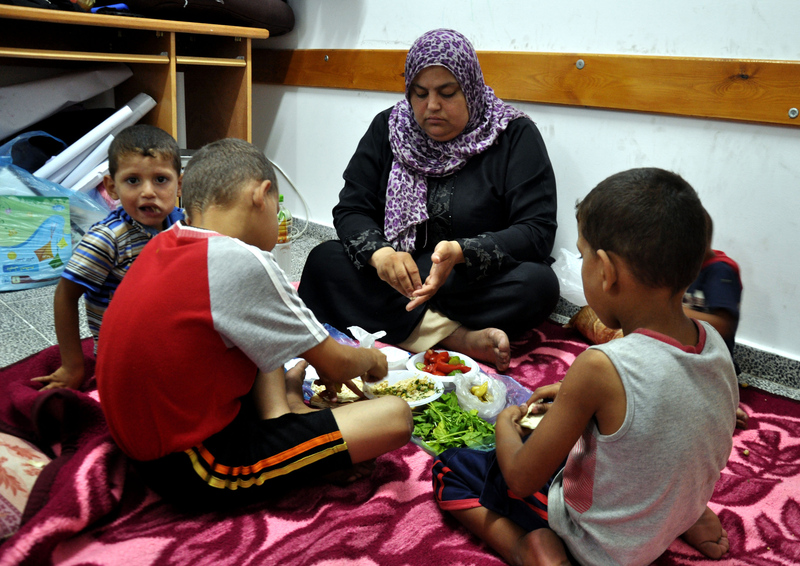 What Gazans usually do is bring along different types of snacks, as well as friends to keep us company. Good friends ease the suffering of waiting. Sometimes we take turns sitting in line. And be sure there is a strong phone signal! Otherwise, your family will worry and everyone will be wondering why you do not answer their calls. Here is something else we share: When tracking the hurricane news, I discovered that politicians around the world are all the same. They criticize each other’s decisions instead of focusing on working together to help the victims. Your President Trump attacked San Juan’s mayor by saying, “Puerto Ricans want everything to be done for them.” Likewise, officials of our Hamas government often blame the [opposing] Fatah party for many of their problems, and vice versa. But must never settle for less than we deserve; we are under no obligation to silence ourselves!